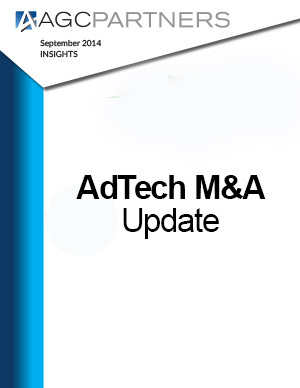 M&A activity within the AdTech space has been strong for the year to date. If deal activity continues at the current pace, the space will see twice as many deals in 2014 as it did in 2013. Fourteen of these transactions were between $100-$400 million. Additionally, the AdTech buyer universe is expanding. More big players are jumping into the AdTech frenzy including Yahoo, Twitter, and Adobe.